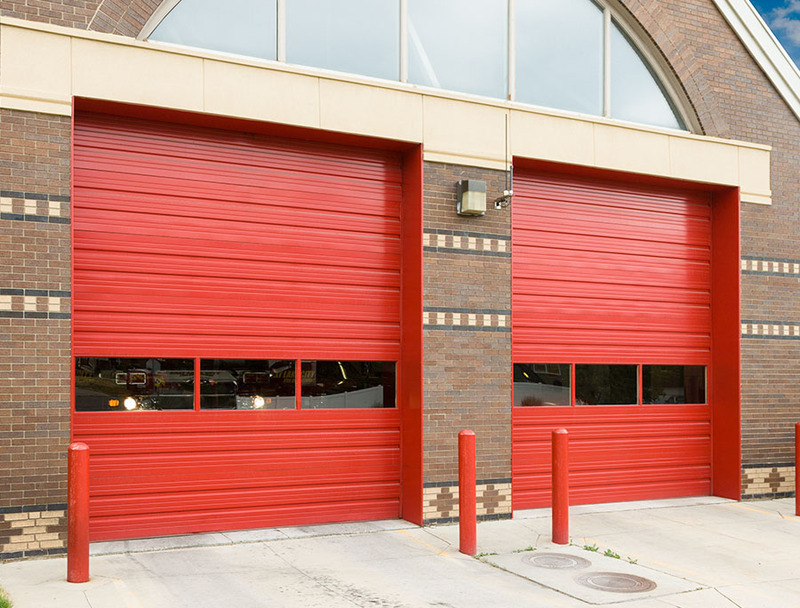 Intermount Doors offer a wide variety of commercial garage doors – sectional steel doors, rolling doors, all glass and self-storage doors. 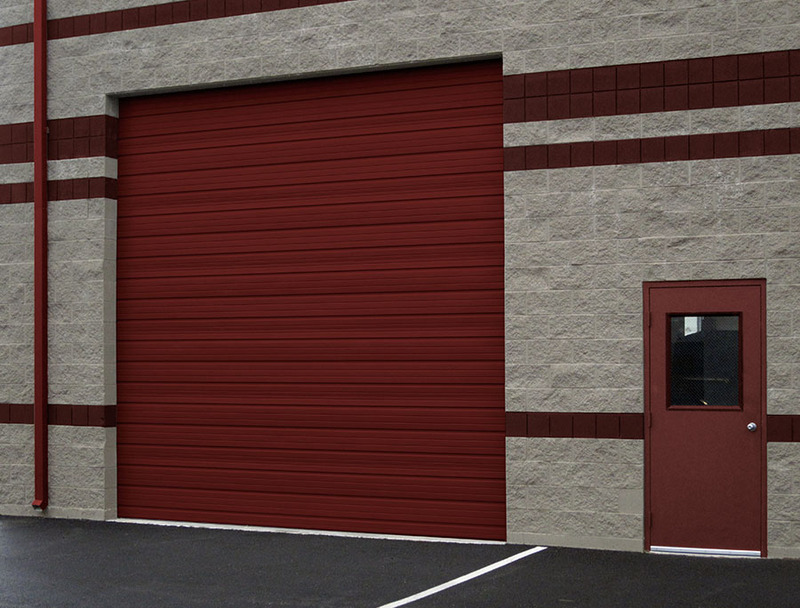 Martin's Commercial door makes it easy for you to get just the garage door you want, at the right price. Choose what fits your needs best from the pattern, the grade of steel, insulation, windows, and the color. 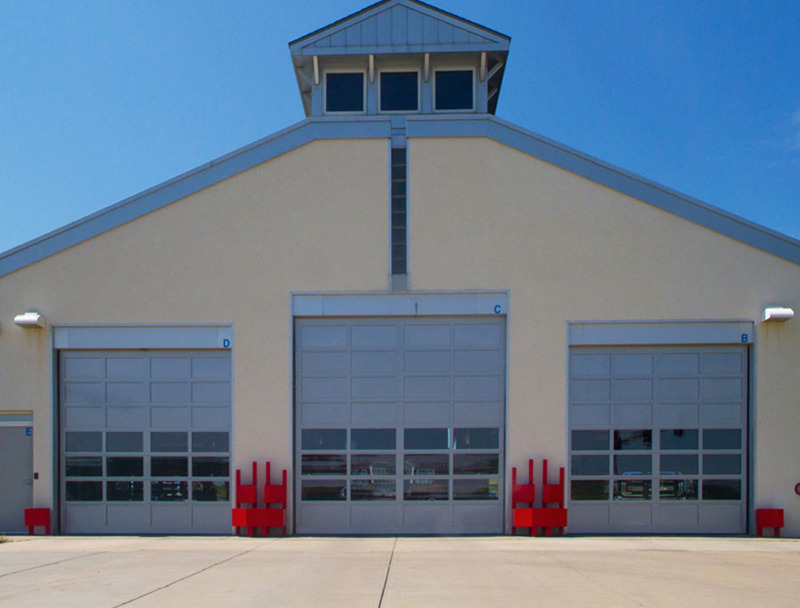 Each door is tailored to your specific needs and will add curb appeal to your building or home. 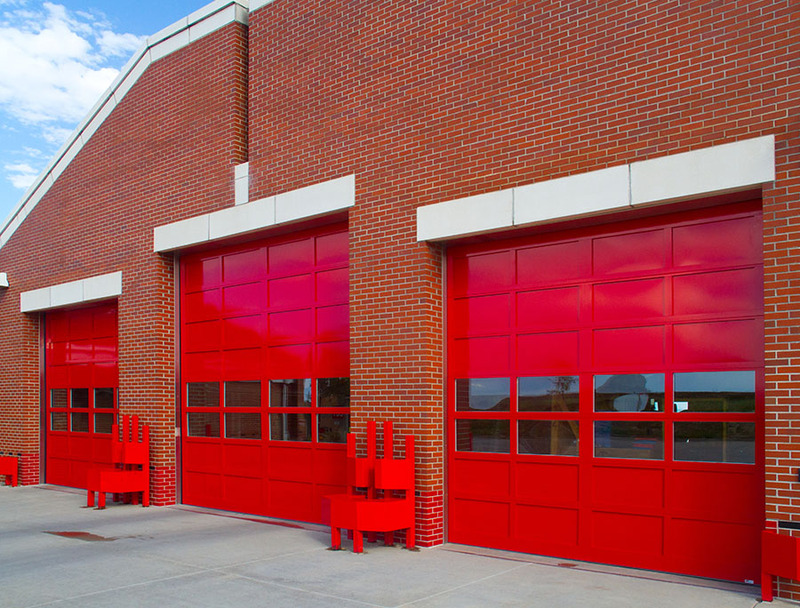 Free door estimates by our factory trained technicians. 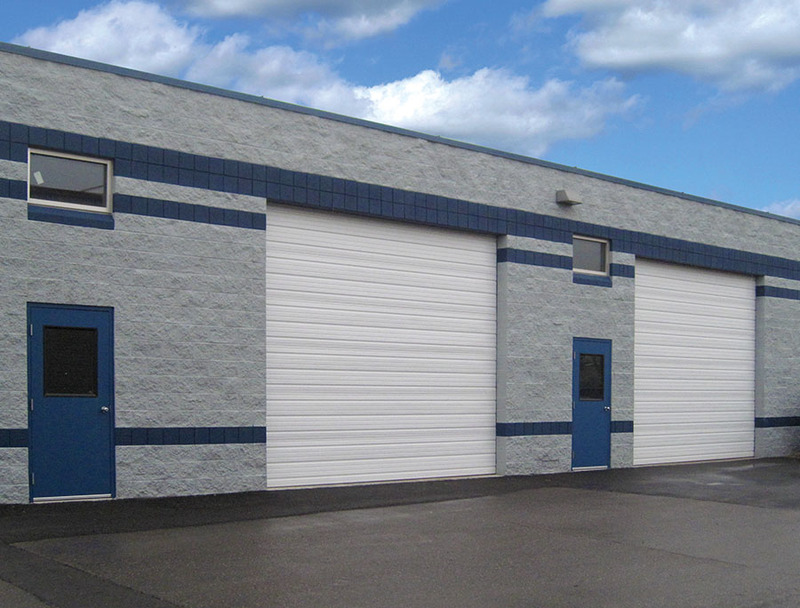 Commercial Garage Doors and Openers provide the security and durability for your business. 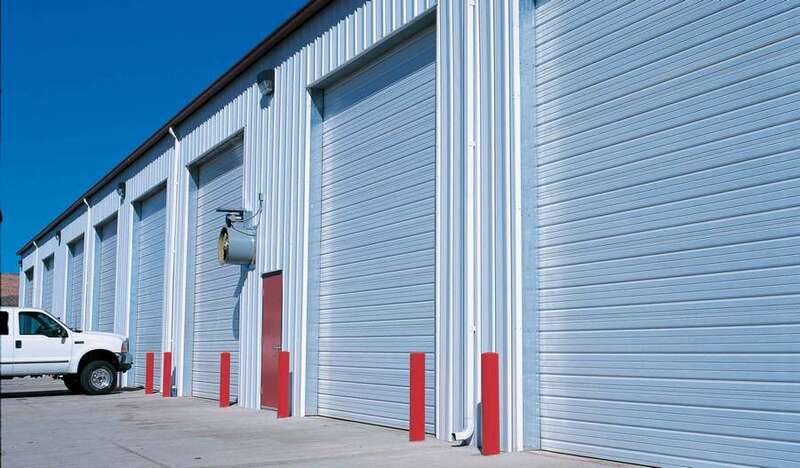 We understand that a commercial garage door can take a lot of abuse over its lifetime. 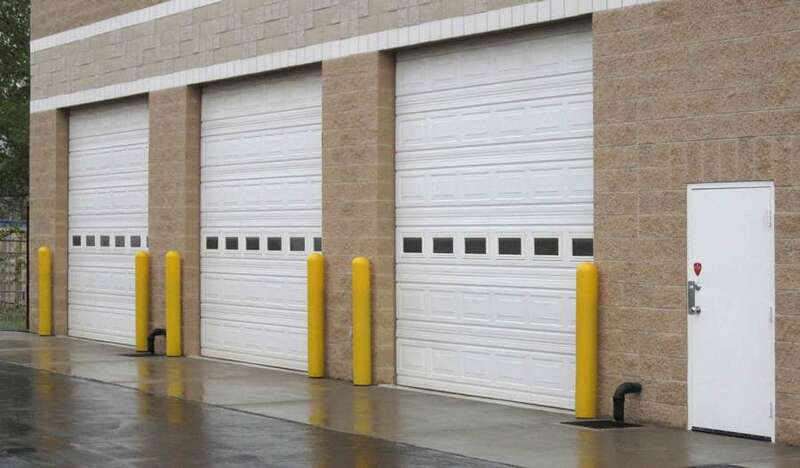 That’s why we only install Martin's Commercial Doors built with quality and durability in mind. Martin Doors will withstand the daily grind of any business because they are built to a higher standard than any other garage door. 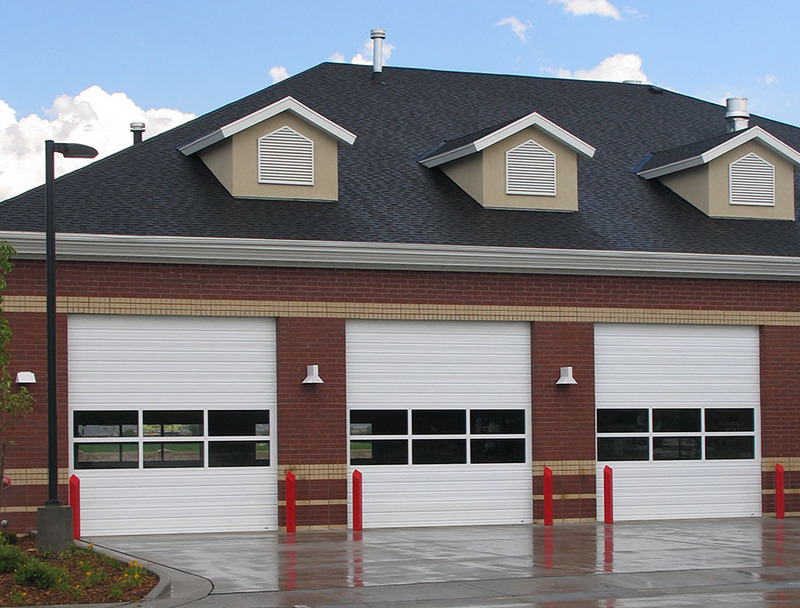 Rest assured that we have a complete selection of quality and safety features that are built in that have been tested for years in the commercial industry. 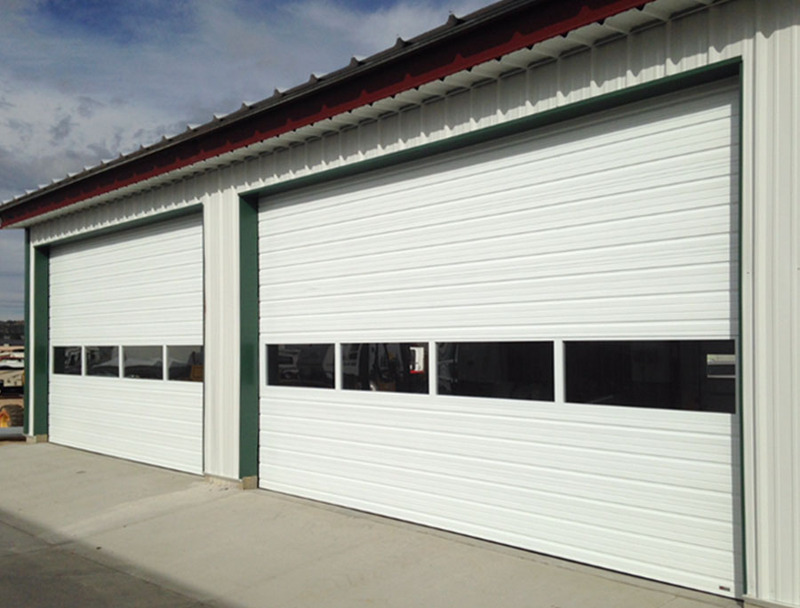 Intermountain Doors offers a wide selection of garage doors, including roll-up, sliding, glass, and sectional. 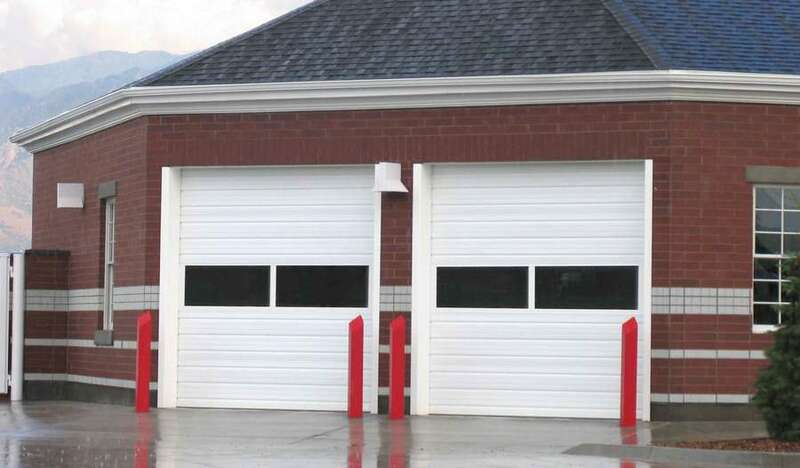 For any application or size choose us, we will engineer your new Commercial Garage Door and have it installed fast. 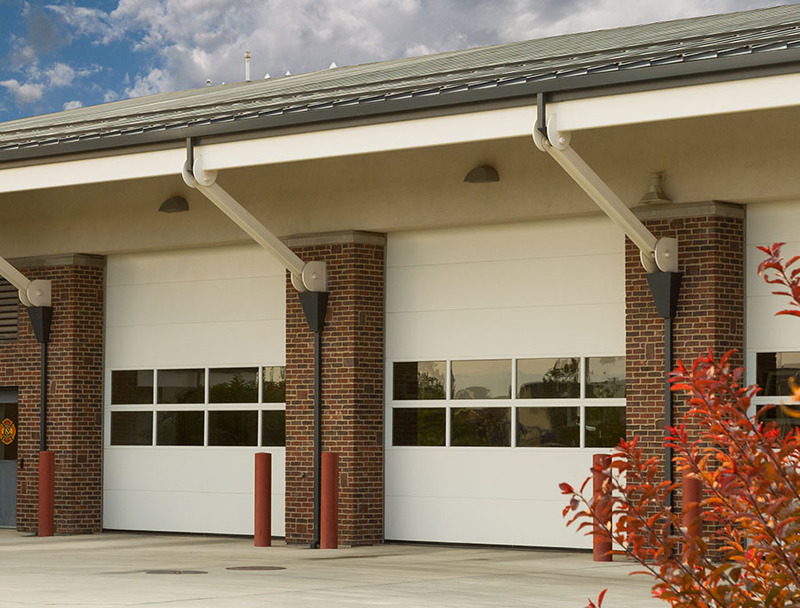 Martin Door’s are the right choice for durability and hassle-free performance. We are factory trained and ready to go. 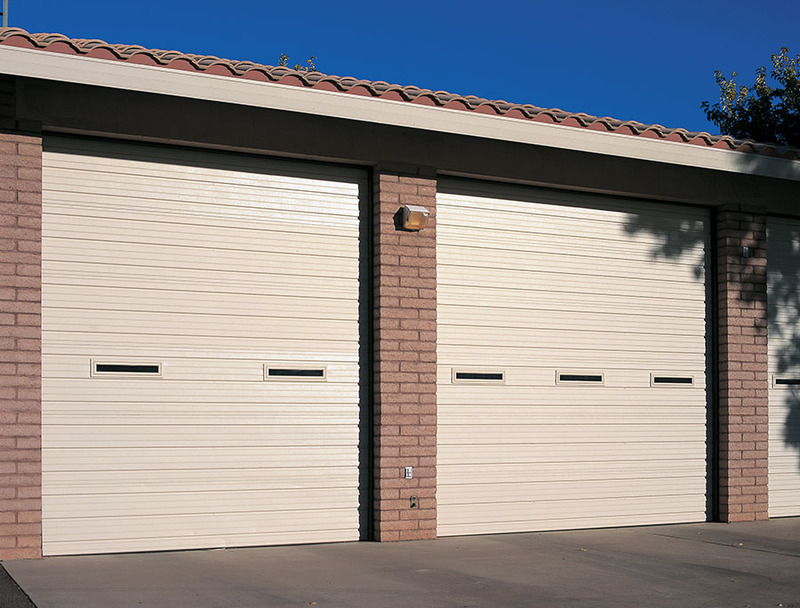 We service all brands of garage doors and openers. We replace springs, gears or sprockets and have most parts in stock for same day repair. 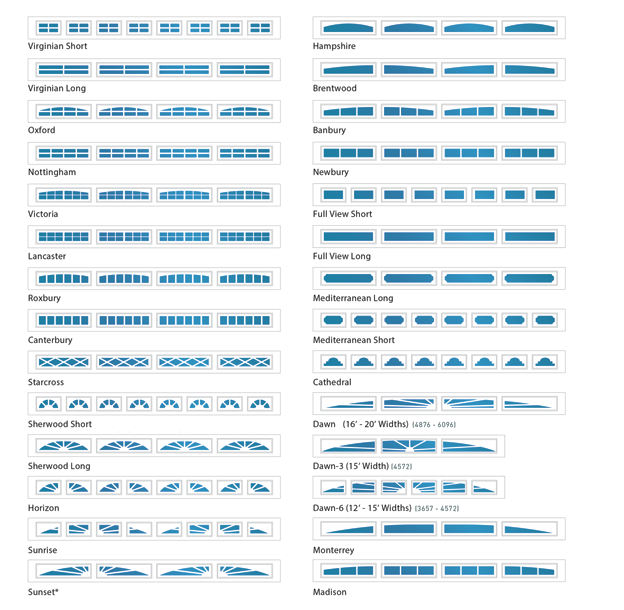 No job is ever too big or too small. 24 steel gauge. 26 steel gauge. Available with the old and new joint. An optional insulated glass is available for increased energy efficiency.